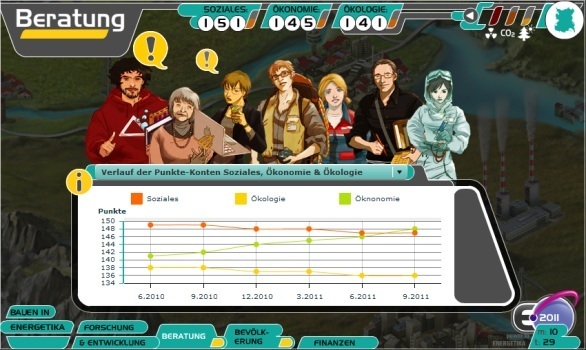 German Game Awards 2011: Energetika, The Best Serious Game! 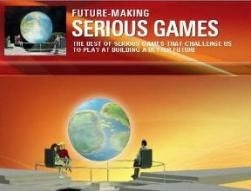 The German Game Prize is awarded annually by the German Government in collaboration with major industry associations. 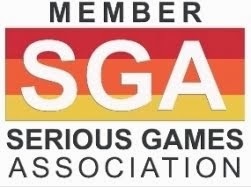 The award was created to promote valuable computer and console games and the awards ceremony was held on March 30th at the Haus der Kunst, in Munich. The Energy Game E.2010 - Power to Energetika was the winner in the Best Serious Game category. Justification of the jury: Energetika is a strategy game addressing the core issue of energy policy. In the game, players manage the construction of power plants and industry policies for a sustainable energy mix, taking into account the long-term consequences of their own actions and decisions. The one game is free and explicitly designed for use in the classroom. Game results can be stored and compared. 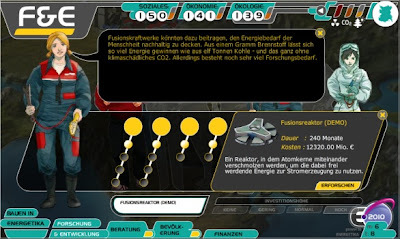 As per takomat GmbH request, RockAByte developed - in close cooperation with takomat - an online simulation game around the topics of energy supply and effective resource management. The idea for the game was conceived by takomat and the DIALOGIK institute for the German Ministry of Education and Research. 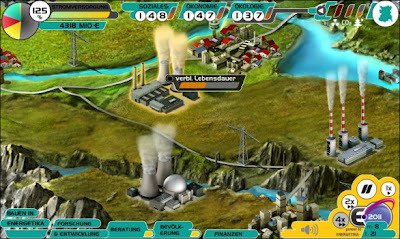 In the game, players control the destiny of the fictitious state Energetika over a 40-year period. The goal is to influence the country energy matrix in a way that the energy supply is ensured. At the same time, players must keep track of social, economic and ecological impact, balancing all the different stakes for a sustainable resource management. In order to meet the goal, players can build, upgrade and dismantle power plants, research new technologies and start educational campaigns. Additionally, researchers and citizens of Energetika give advice and provide feedback about how the player's actions influence their lives.